For over 30 years Frank Allison has been dedicated to providing quality legal representation to people injured by accident throughout Kansas and Missouri. From the beginning in 1985, Frank’s practice has been limited almost entirely to obtaining compensation for people injured in personal injury accidents – especially serious automobile accidents, as well as obtaining benefits for injured workers involved in workers’ compensation claims. 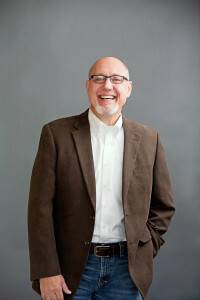 Frank received his undergraduate business degree from Washington University in St. Louis in 1981 and received his law degree from Washburn University School of Law in 1984. Over the years, Frank has been invited to speak and teach other lawyers about the workers’ compensation process – including what to do when benefits are denied, how to handle hearings, and how to handle claims involving serious injuries. Frank was raised by a mother who had polio and who learned how to walk with a brace and crutch. He had a father who had life-long pain from having sustained multiple injuries from being crushed by a cement truck. These experiences helped shape Frank’s compassion and care for people who have suffered from serious medical conditions and disabilities. It is what continues to drive him today. Frank not only understands the law, but also understands the impact disabling injuries can have for the individuals and families involved. Frank remains grateful for the work he has chosen to do, and is extremely grateful to have in his life three wonderful children and a beautiful wife. Frank has coached youth sports, continues to be a Scout leader, and with a love for the outdoors has recently become a Certified Interpretive Guide and is currently training and performing service work as a Certified Master Naturalist.